The Zojirushi bread machine has a cake setting. That would be perfect for cornbread right? That’s what I thought. However, instead of giving a cornbread recipe the manual tells you to use a mix. I’m sure that works and would be great in a pinch. I wanted a real recipe for cornbread though. So I tried my regular cornbread recipe in the bread machine. It turned out great! Note that this recipe calls for melted butter. In the bread recipes on this site, I tell people that if their machine has a preheat cycle to not melt the butter. The bread machine will do that for you. However, the Zojirushi cake setting doesn’t have a preheat cycle. It starts mixing right away. So the butter needs to be melted in this instance. Note that this is not a yeast bread. It’s a quick bread that uses baking powder as the leavening agent. The cornbread rises to about 2.5 inches in my machine. What if your bread doesn’t rise that high? The culprit could be old baking powder. Here’s a photo of two loaves of cornbread that I made recently. The loaf on the left was made with old baking powder and the loaf on the right was made with new baking powder. As you can see, the age of the baking powder makes a huge difference in the bread. You’ll note that this recipe contains cornmeal. What exactly is cornmeal? It’s a coarse flour made from dried corn. Most commercial cornmeal is made from either yellow or white dent corn. Dent corn is a type of field corn named for its dented kernels. Most of the corn grown in the United States is either yellow dent corn or a closely related variety. In the United States, it’s common to see steel-ground yellow cornmeal. With this product, the husk and germ of the corn kernel has been almost completely removed. The good news is that makes the cornmeal shelf-stable. The bad news is that it’s not as nutritious. If you’d like more nutritious cornmeal, look for “whole grain” cornmeal. That’s typically stone-ground and is a coarser type of cornmeal. While this cornmeal is more nutritious, it’s more perishable. At our house, we often have cornbread with chili. It’s a great combination! BBQ of any type – We love it with BBQ ribs we make in the crockpot. Stews or soups – Green pea soup and cornbread are heavenly together! We sliced the cornbread and froze what we didn’t eat. When we want a slice we just pop it in the toaster. It thaws and heats the cornbread all at once. Follow the instructions that came with your bread machine in terms of which ingredients to put in the machine first. Select the cake setting with a light crust. If your machine doesn’t have a cake setting, use the quick bread setting. All information and tools presented and written within this site are intended for informational purposes only. 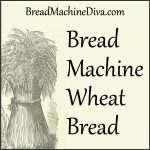 I am not a certified nutritionist and any nutritional information on breadmachinediva.com should only be used as a general guideline. This information is provided as a courtesy and there is no guarantee that the information will be completely accurate. Even though I try to provide accurate nutritional information to the best of my ability, these figures should still be considered estimates. We love this pound cake. 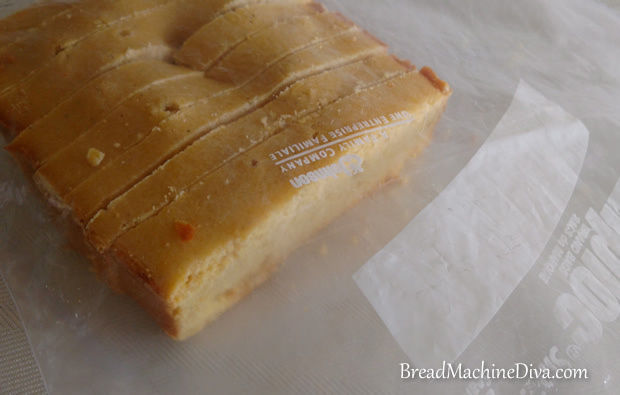 It's really easy to make using the bread machine's cake cycle. Yum!! Thank you for this recipe! Really loved it! I love cornbread and I’m loving my breadmachine… My panasonic bread machine does not have a cake cycle though… just a dough only or bake only…and a rapid bake…along with the normal bake white/wheat/etc type cycles. I ended up mixing everything in a mixing bowl and then pouring it into my bread pan for the machine. I set it to bake only – for 50 minutes…and it came out great!! I might try 45minutes last time…as the bottom was a bit browner then *I* like – though my husband loves crust. Both my toddlers are gobbling it up – who doesn’t love corn bread with a little butter. 🙂 Thank you again! I am curious though – how long does yours bake for in your machine? Hi Abby, I’m glad you like the recipe! The Zojirushi has a cake cycle that lasts 2 hours. But that includes mixing, baking and cooling time. I’m not sure how long the baking time is by itself. 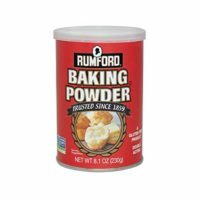 I actually use bread machine flour because it’s all I have in the house. 🙂 However, the recipe was designed for using regular, plain flour. And yes, I use regular cornmeal. The instructions for the Zojirushi Supreme specify that the Cake cycle lasts two hours, of which 24 minutes are mixing (the screen says “Knead”), 80 minutes are for baking, and 16 minutes are for cooling down. Perhaps this will help in setting the times for other machines than the Zo. Just a note for those people who were having the bread cook, but still be a little too wet in the centre. I’ve had this problem with other quick breads like Banana Bread and Gingerbread. Take a look at your bread pan insert. Is it entirely metal? If so, you can pop it in the oven if its not quite finished. Use a cake tester or toothpick inserted to the deepest part and if it comes out clean it is done. If it doesn’t, pop it in a 350 degree oven for another 10 – 20 mintues. This finishes mine off nicely on days where we have high humidity (thus things take longer to bake). But make sure there are no plastic parts or rubber rings anywhere on your removable bread pan or you will wreck it. Made at high altitude (Denver area) and I think there was too much baking powder. I reduced it a bit – as you usually do for high alt. – but it still rose a little too fast, didn’t keep it’s shape. It’s definitely edible, and the shape is actually OK – a little blobby loaf – but there is a slight baking powder taste. (that will go away when soaked in pork and beans) I also increased the oil by 1/8 cup, as I usually do for liquids in high-altitude. Pretty good, but I need to tweak it a little more for our elevation. Will try again! Looks great can’t wait to try it, new to the bread machine scene and i love it thanks. Thank you so much!!! 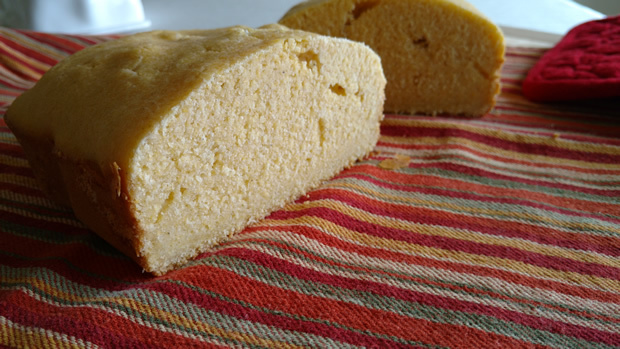 I first made a version that took Yeast and it turned out like a regular bread with corn crust :/ then I found your website and made the corn bread that I was searching for 😀 However I would like it if it was a bit sweeter…maybe next time I will up the sugar content, maybe add some honey and a little bit more butter? But this recipe is definately a keeper 😀 Thank you soooo much!!!! Hi Susan, I was looking for Bread Machine Stuffing bread and this caught my eye. I have to say, you must be a Yankee if you like sweet corn bread! Don’t worry, I am too! I thought the local cornbread in middle TN with no sugar and very little salt tasted like cardboard! When I made MY corn bread to take to a work pot luck, the ladies of the south told me how good it was, but were scandalized that it had sugar and more than a few grains of salt! They told me I made Yankee bread, and they were right! Back in Yankee territory now! This recipe is almost exact to my own, (oven baked), corn bread. I use more cornmeal than flour though. Just reverse the measurements. This is spot on w/salt., sugar, eggs, milk and oil. I do not use vanilla. I think this uses a bit much baking powder, my recipe uses 2 teasp. 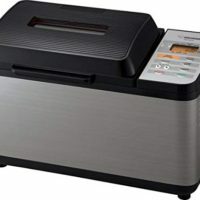 I have a Panasonic SD-YD250 bread machine that has a “bake only” option that can be used for cakes, but only if you line the pan with parchment. I’m not sure I would go to all of that trouble to use the bread machine since you have to mix outside the pan AND line the baking pan, when it’s so easy to bake in the oven! That info is for other Panasonic owners who may come across this. But the whole point of this post is to tell you a trick I learned to make my cornbread sweeter. Use the 1/4 c. sugar in the batter. After the batter is gently mixed, pour it into an oil sprayed pan. Before you place it in the oven, use another 1/4 c. of sugar and sprinkle itevenly over the top of the unbaked batter. Bake until a toothpick comes out clean and the sugar has lightly caramelized on the top. YUM! Great with homemade bean soup! Worked perfectly in my Breadman TR800 using the Batter Bread/Cake setting. I made sure to take it out to cool pretty quickly after the cycle finished so it didn’t sit in the steam and get soggy. Thanks for the recipe! Chelsea, I’m glad you liked it! And thanks for leaving a comment. I’m sure that everyone using the Breadman TR800 will appreciate it. I have a Zo, also. When using the cake cycle, I find I always need to take a spatula and give it a good stir after about 5 minutes. If I don’t, there are always clumps of flour along the side of the cake/bread. I always use whole wheat flour, I’m not sure if it happens with while flour. I’ve made many cake, quick bread and muffin recipes using the cake cycle. Most have turned out well! I’m giving this recipe a try for dinner tonight. Thanks! Cathy, I’m so glad you liked it! This has me thinking about what to make for the big game this weekend. Maybe chili and cornbread would be good. Hmmm . . . .
My son needed a loaf of corn bread for his French class today, so I made this recipe last night. After reading a few of the reviews I made a few changes and baked it on the basic setting in my Breville. I used 1 1/4 of cornmeal and 1 cup of flour. I also decreased the baking powder to 2 tsp. It baked perfectly and had a nice sweet flavour. Another recipe to add to my collection! Sounds good. I hope you like it. Has anyone used an Oster with this recipe? I don’t live in America and the corn meal here is white. Seeing as corn bread is not populare here, will white corn meal “Maize” work just as well? Hi Brian, I did some research and I think it’s worth giving it a try. Some people say white cornmeal is better than the yellow. Let me know how it turns out! Marsha- love this recipe. I want to try it in this week. In your recipe, you haev 1 cup of cornmeal and 1-1/4 flour. What flour did you use? Is it corn flour or bread flour (wheat or white)? I followed your recipe as written using the Zojirushi. The only difference I imagine is using stone ground whole corn meal which worked great for my preferences. A more rustic loaf tha regular cornmeal, and made a good flavored loaf. Wonderful with a bowl of chili garnished with avocado chunks, scallions and a sprinkle of cheese. Thanks for this… I wasn’t having any luck on my 1st 2 efforts! I woul like to add that I used an unbleached, unbromated non gmo all purpose flour from Wheat Montana. I saw no reason to use a bread flour particularly for a cake like bread. This flour is great and has a good gluten content naturally. I get it in 25lb bags. It feels silky to touch and the quality and price are great from this family farm. My favorite for this type of flour by far. ….. Also, I really appreciate this site and am new to it. I don’t have access to an oven so making the bread machine work for me has been great, but sometimes is a test when pushing its performance. The info I find here is helpful and good reading. Thanks everyone! I made this last week. I reduced baking soda to 2 tsp. But I think I might bump it up to three. Otherwise, this recipe is great! Just the johnny cake / corn bread recipe that I was looking for – and I can make it in my bread machine! Thanks! Thank you SO much for your recipes. Just purchased a ZO and like you HATED the mix options! cornbread is in the oven, I mean the ZO, right now. I plan to make one of my mom’s recipes, Baked Whole Fish with thin sliced potatoes and onions. I think the sweetness from your cornbread recipe will be perfect. I am a southern lady but like both sweet and savory cornbread. Typically her in NC we would make up a savory batter and fry it, well we fried just about everything!! LOL. Thanks again and thanks for all the great reviews!! Thank you SO much for this recipe! I have a ZO and just love it. I have never used the cake setting before. We are having very spicy chili today and like the sweet cornbread with it. I am glad I found your site. I love my ZO! Thanks for writing! Hope you enjoy the bread! I wish I had read comments before baking. My family found this way too salty- so much so that I, who eat all kinds of mistakes, had to toss it. Less baking soda next time. We tried this in our Breadman bread machine and used the batter breads setting- medium crust. It worked well. We repeated the recipe and added one can of corn, drained. It was great. 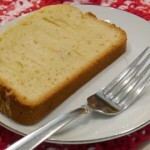 It is a great cornbread but not so crumbly you cant spread butter or other toppings on slices. This recipe is getting laminated, it’s a keeper! Definitely my ‘go to’ cornbread recipe now! Thank you! Thanks so much for the great comments. You made my day! Has anyone ever baked plain cornbread in the Zo? Meaning no vanilla or sugar. Just curious how it will turn out. My bread maker has two possible options to use for this recipe. One is a “sweet” setting for baking bread that contains sugar and eggs. A 1 ½ lb. loaf would take 3 hrs. 17 min. at this setting. The second would be a “quick” bread setting for baking bread that contains baking powder instead of yeast. A 1 ½ lb. loaf would take 1 hr. 17 min. using this setting. Any suggestions on which setting would be best suited to this recipe. I’d go with the quick bread setting. I made this yesterday. The flavor is perfect, but it turned out much dryer than I would like. Maybe I should add another egg? Any ideas? If you try adding another egg let me know if it works. I like this recipe a lot, but it’s a balancing act. On one hand you don’t want the bread too dry and on the other hand you want to make sure that the bread actually cooks all the way through. I have it just the way I want it now. ???? I used 2 teaspoons vanilla, 2 extra tablespoons of oil, and added an extra tablespoon of sugar. I like sweet cornbread (Yankee Bread). It turned out perfectly sweet and very moist. I have a Cuisinart cbk-100 bread machine, if I make cornbread using the cake setting will I be able to remove the paddle before the baking process? Just curious, I don’t want to be breaking the bread trying to get it out of the pan. Thanks. Hi Charles, I’m sorry but I have no experience with that sort of bread machine. If anyone else has any tips please comment. I’d love to hear. ok done. was a little undercooked but 20 min @350 and this was really a good corn bread with green chilies. I have an older Zojirushi BBCC-S15. I am going to make another one tomorrow for the family party. My only comment is to PLEASE give an approximate loaf size of the recipes. This is very important to those of us with a smaller than 2 pound machine. I was worried that it might overflow my 1-1/2 pound pan. It turned out that the finished cornbread volume was similar to a 1 pound loaf. I made the cornbread with the zojirushi home bakery mini. This machine makes a 1 lb loaf and has a cake cycle. No changes made to the recipe ingredient amounts. Came out spectacularly. Gonna try this today!!! Hope it works out. I am new to the bread machine world. I got my Hamilton Beach bread maker as a gift. I, like you, don’t like “cake mixes” so I was thrilled to find this recipe. I made it today for Sunday lunch and it came out fantastic! Thank you soooo much for this … I’ll be checking out your other recipes for sure! Congrats on your new machine! And thanks for letting me know your thoughts on the recipe. I’m so glad you liked it! I’ve got a Hamilton Beach machine on order. Did you use the “cake” setting? (The recipe in the manufacturer’s book is under the “quick” bread section. I know the pan is supposed to be non-stick so did you grease it in any way? 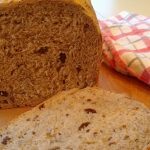 Did you use bread flour or just plain white flour? I’m thinking about making this the first recipe I try because my husband is always after me to make cornbread. If you see this, thanks for taking the time to read it. Hi Michelle, I have a different brand of bread machine than you do. I used the cake setting, but the quick bread setting should work on your machine. I did not add any extra grease. I used bread flour. I have a Hamilton Beach machine, just made this recipe, used the cake setting & it turned out delicious! Best cornbread I’ve ever made! Update: I think my cornbread should have risen a bit more, I read some articles and I think that the cake setting stirs the batter too much so I’m going to try the “Quick” setting tonight to see if that helps the bread rise properly. I’ll let you know if it works! I used your recipe and the cornbread came out tasty but a bit on the dry side. Do you have any tips or changes that might help in making the final product a bit more moist? You might try increasing the butter or oil slightly. Is there no yeast in this cornbread recipe? Just want to make sure I didn’t miss anything? Cake setting is 2 hr 40 min. Which should I use ? It’s odd that the cake setting on your bread machine would be so long, but I think I’d use that one. My Hamilton Beach machine took 3 hours on the cake setting! But the bread turned out amazing. I used bread flour, in case that makes a difference. I did find that it didn’t rise much, should it have? I read some stuff online last night, I think because the cake setting stirs the batter too much it stops the baking powder from doing it’s job. I’m going to try the recipe again tonight with the Quick setting to see if that works better. I have a mini Zojirushi and it only makes 1 pound loaves. Would I cut the recipe in half? 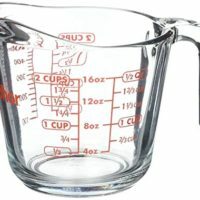 Here’s an article on how to adjust recipes to fit any sized machine. Technically I think that all the ingredients might fit in your machine, the question I would have is if the paddle could adequately stir all the ingredients.